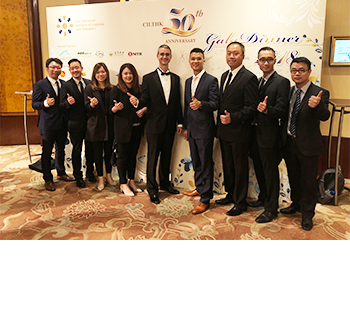 HONG KONG, 2018-Jul-02 — /Travel PR News/ — Worldwide Cruise Terminals (WCT), manager and operator of Hong Kong’s Kai Tak Cruise Terminal, has won the Chartered Institute of Logistics & Transport in Hong Kong’s (CILT) SME Award for service excellence. In 2017, WCT handled more passengers than the three other Pearl River Delta cruise terminals combined – a total of 780,000 passengers or more than 85% of Hong Kong’s total. Worldwide Cruise Terminals (WCT), a joint venture majority owned by Worldwide Flight Services (WFS), offers customised services for cruise line customers, including catering for home port calls, transit calls, local and overseas cruise guests and immigration formalities. The Chartered Institute of Logistics and Transport in Hong Kong is the professional body for those engaged in various sectors of transport and logistics, including air, sea and land, for both passengers and freight, and has some 1,900 members. This entry was posted in Airlines, Transportation, Travel, Travel Awards, Travel Services, Travelers and tagged hong kong, Jeff Bent, logistics, service excellence, SME Award, transport, Worldwide Cruise Terminals. Bookmark the permalink.